A federal lawsuit was brought by apparel company GameDawg, LLC, against Original Houndstooth, a Tuscaloosa clothing store. GameDawg claimed Original Houndstooth infringed on its trademark issued in 2011 of an elephant with a houndstooth pattern. Original Houndstooth countered that it had a license from Alabama since 2011 to sell clothing with a similar symbol. Michael Douglas, GameDawg’s attorney, said the company’s federally registered “Houndstooth Elephant” trademark does not infringe on any university trademark. 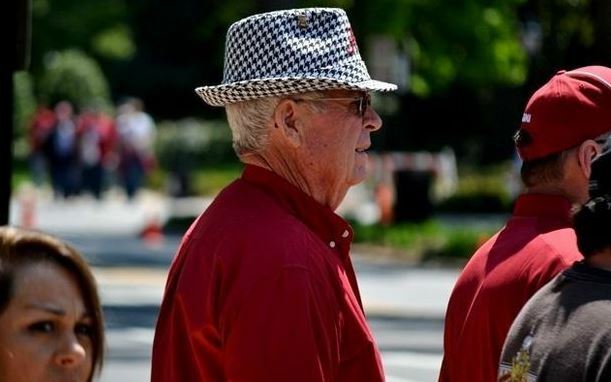 He cites as support the Trademark Trial and Appeal Board’s recent decision to dismiss Alabama’s opposition to the Houndstooth Mafia trademark.